One of the most popular destinations, mostly used by every tour & travel company is Hong Kong – Macau. Since they’re just about 1 hour away via ferry. If you have read our story about our Macau trip, here’s how you can get to Macau from Hong Kong by ferry, plus some tips from our experience. Both Hong Kong and Macau have some terminals to depart. China Ferry Terminal in Tsim Sha Tsui. Located about 1 kilometer north of the Tsim Sha Tsui Star Ferry. You could just walk to it through Harbour City Mall, or just take a taxi to 33 Canton Road. Hong Kong Macau Ferry Terminal near the IFC Towers in the Shun Tak Center on Hong Kong Island. It is near the Star Ferry, the IFC Mall, and the Sheung Wan MTR station. Sky Pier at the Hong Kong International Airport is for transiting tourists only. We made a mistake when we’re landing in Hong Kong, we check out from the immigration to grab some food just near the arrival hall. If you’re flying to Hong Kong and then plan to go directly to Macau. Just directly purchase the ferry ticket to depart to Macau. You will pass the ticket counter when you’re heading to the immigration and baggage claim area, or just ask the information. You don’t have to worry about your baggage, if you’re transiting, they will take care of your baggage. I think it is a better option, we should not have to check out first. We have to spend another HK$40 to purchase a bus ticket to go to the Hong Kong Macau Ferry Terminal, plus the hassle of baggage, hopping on and off the bus. So after quite some time on the bus (maybe 40″), we finally arrived at the Hong Kong-Macau Ferry Terminal, we bought the ticket with a long queue, apparently, it’s weekend, so a lot of people from Hong Kong going to Macau. We decided to try the Super Class, rather than the Economy Class. Another mistake, to be honest. I would recommend you to save your money and just take the economy class. There’s not much of a different between these two class, except you get the first access to get on and off from the boat, and Super class exclusively at the front part of the boat. I don’t see much of a different on the seats, the food was similar. But the price difference is quite significant. I regret my decision for this. Here’s the information for the fares and the schedule. You can check their website for more detail information here. After purchasing the tickets, we immediately rushed to get to the ferry, but here’s another mistake that we should not do. Right after you pass the check in with some staffs checking your ticket, there’s a counter to check in your baggage. We had our bags carried by a man on a uniform jacket, speaking in Chinese, something about checking in our baggage. It’s a trick! He said that we should check in our baggage because we carried 2 large cases, 4 medium case, and 1 small case. He said that they won’t allowed us with big cases. Truth is, they just want your money, we had to pay for an extra $175 for all those bags, they will weigh your bags for the price. I would recommend you to not check in your baggage, you don’t need to. It’s a lie because we literally saw a lot of big cases just like ours inside the ferry. They provide places in the passenger area to put your baggage. Oops, we got tricked… Well, unless you don’t want to carry your own case to alight the ferry, which is not so much of an effort, then you can give some extra dollar for that service. That’s 3 mistakes already just from Hong Kong. If you’re willing to spend some extra money, you should try their Heli service. Somewhere around HK$ 5,000, I guess? So, that’s our experience for departing from Hong Kong to Macau. As for Macau, they have 2 terminals. I went to the Macau Maritime Ferry Terminal (a.k.a. Outer Harbour Ferry Terminal). I think most of the tourists are going through here. It took approximately 1 hour on the boat. If you easily get seasick, you better take some sleeping pills or your meds before you depart. Macau Maritime Ferry Terminal is the main northern terminal closest to San Ma Lo, and about 23 mainly smaller casinos. You can take Bus 3 from San Ma Lo to the Macau Ferry Terminal in about 10 minutes for HK$ 2.5. Cotai Terminal is to the south, closest to the Cotai Strip area with the biggest casinos such as the Venetian, the City of Dreams across the street, and the Macau International Airport. To go to Cotai Terminal, take the Cotai Jet from any of the three Hong Kong terminals. There are late night returns (after 12 midnight) from the Cotai Terminal to the Hong Kong Macau Terminal. 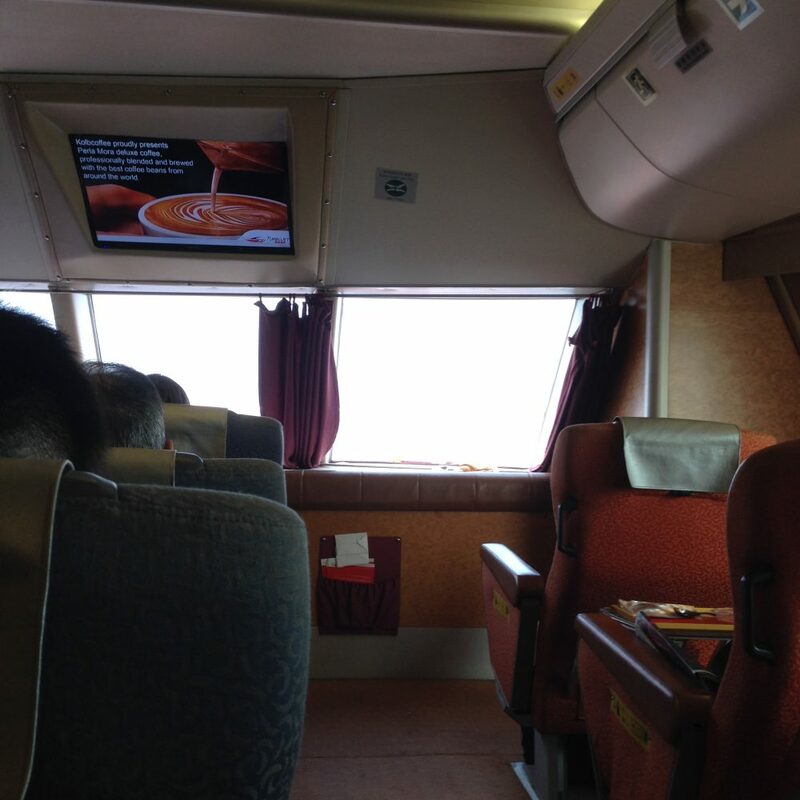 Returning to Hong Kong from Macau would be the same, you just have to check the schedule, buy tickets, and depart. But, here’s a tip, pay attention to time, especially what time do you want to go. We were having so much fun at Macau, we’re enjoying the Gondola Ride in The Venetian Hotel before we should depart to Hong Kong. We thought it will be just okay if we bought the tickets around 6 p.m. for the departure of 7 or maybe 8 p.m. It was a huge mistake, we didn’t put any thoughts about the weekend! Yes, it’s Sunday and everybody seems to go back to Hong Kong from Macau. The tickets were sold out, what’s left for us only the 00.00 departure up. We’re traveling with 2 infants, so that’s quite a problem. There’s no choice so we just wait for 00.30 departure. And do pay attention for the price, ferry prices are higher in the evening and highest at night, and higher on weekends and holidays. We really didn’t see it coming. We arrived at Hong Kong after 01.30, all of us were exhausted and forced to get a cab to our Hotel in Hong Kong, because there’s no more bus service at that hour. Lessons to learn, hope you can avoid these mistakes that I made. It would probably better to just visit Macau in a day without spending nights, well if you prefer to enjoy their hotels than it will be another story. But yeah, after all of my experience, I would just spend a day in Macau, going there with the earliest ferry, and return to Hong Kong at night. Here’s one recommended itinerary to enjoy Macau in 1 day, check it out. Find the best price for flight to Hong Kong. Traveling to Hong Kong or Macau will be much less worry if you have a travel insurance. Here’s a map of the ferry terminal location both in Hong Kong and Macau.